MEMBERS OF the 2019 Viennese Winter Ball Cotillion pose in their formal wear before the event held Feb. 2 at Wilson Lodge at Oglebay Park. The event benefits the Wheeling Symphony Orchestra. Front row, from left, are Audrey Blust and Charles Ghaphery, Elizabeth Stern and Hayden Beresh. Paige Futey and Brock Archer; Margaret Marra and David Croft, Ireland Wayt and David Agcaoili. 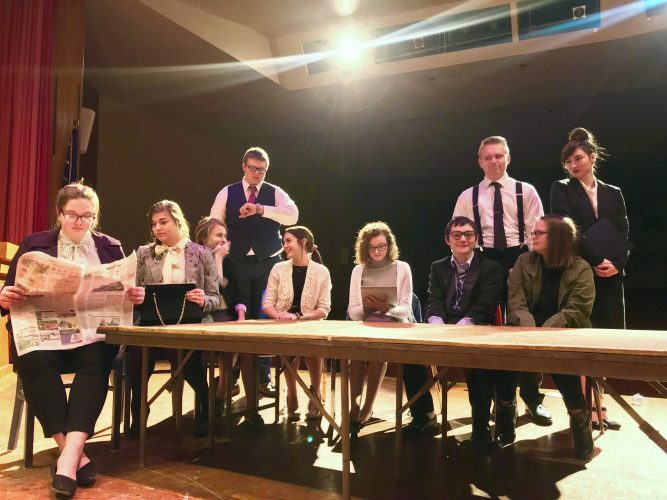 Back row, from left, Sarah McDermott and Constantinos Kayafas, Maria Mosman and Jacob McPhail, Madelyn Tiu and Christopher Nau, Caitlin Mead and Mark Kepple, Kenadee Wayt and Angelo Gentile.